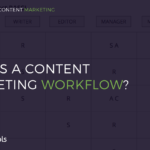 Has feeding your Content Marketing strategy become a struggle for you? As the marketing professional responsible for content, you dwell among an absurd amount of tabs on your browser, emails in your inbox and events on your calendar. And that is just to name a part of the spectrum of what goes on inside your head — and computer. We have been in close contact with Content Managers all over the world and have mapped some of their main time-consuming habits aiming to understand them and hopefully help these very busy professionals — and you — out somehow. So let’s check out thei main issues. Can you relate to any of them? It sounds quite simple, but it is a lot more complicated (and sometimes frustrating) than one might think. We all agree that having a diverse team is key to unfolding innovative paths for your content strategy, so managing that team is a worthy challenge. But why is it so hard to get people to give their best and work together as a team? When it comes to content marketing teams, tiny details can cause chaos. As a manager working with people from both your own office and the most remote beaches in Thailand, you must be aware of certain circumstances. For example, you have probably noticed that one main factor that influences the sync of your team is that people work in different rhythms. And you have to not only be aware of those rhythms but also manage those cadencies aiming at blending them to perform as well as possible. In order to do that, it is crucial to constantly remind people of what they are there for. Once you have a leading part in all this, making sure everyone is on the same page and understands what their goals as a team and as individuals are ends up weighting on your shoulders. On top of being a constant worry, keeping everyone conscious of their part in the whole strategy as they create content for the projects they are involved in is frequently a very time-consuming task. So if you feel like it could be better adjusted, trust us: it probably can. Managing different people who work from both inside and outside the company usually involves different channels of communication — and there’s a substancial amount of time wasted in between them. You have all agreed on using Slack, but some people still insist on chatting over Skype or, even worse, calling, for example. Truth is: everyone is overwhelmed by all of the different means of communication available and each person goes ahead and prioritizes their favorite one, hoping that others will adapt. That would be okay if we had all the spare time in the world to check up on each of those channels, but that’s just not how life works right now. Every minute wasted checking information in different places adds up to the extra hour you have to work to keep up with everything — and that is not fun at all. You also probably have all these different tools that help you get through the day without going mad — well, slightly. There is one tool to help you remember all the content that is under production, then another one that shows how and when each of those contents will be distributed. And what about the actual content? Oh, right, it’s in a doc inside a shared folder in your drive. Tools were supposed to help you save time but turns out you spend a lot of your (already scarce) day-hours not only moving from one tool to another but also remembering in which tool the piece of information you need right now actually is. Plus, how on earth are we supposed to keep up with everyone who is working remotely if we fail to halt distances and everything seems so spread out? Having team members active in random channels is not of much help when you need to get everyone cooperating and focused on the same goal: attracting and converting qualified leads. The main result of having a decentralized team and a whole bunch of different tools to manage them is that the workflow can get really confusing. Content is produced by a group of people, edited by another one then refined by yet another and distributed by one of your interns onto the variety of channels your company is active on. Exhausting? You bet it is. In which stage is that new e-book you are supposed to launch next week? And who is in charge of it at the moment? You probably need to open your Trello (and hope it’s updated) or dive into your mail inbox looking for the last time someone said anything about it and try to figure it out. When you finally find it, you are supposed to know where it’s headed next, and when it will move over to the next step. That means you will have to set a couple of alarms to check up on the person who is currently responsible for it. What a pain! Having a hard time visualizing the whereabouts of a single content is already frustrating enough. But there is one thing even worse than that: losing a piece of content. If you have ever experienced it, you know the torment. Moving content from one computer to another means that bits and pieces will occasionally get lost along the way. Can you afford that? Probably not, right? Who can afford losing content, anyway? 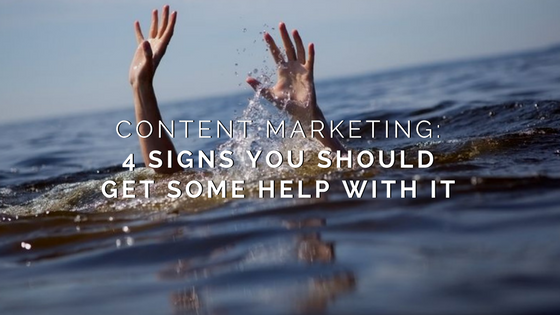 If you can relate to at least one of the episodes mentioned above, we understand your pain and have good news for you and for your content marketing team: help has arrived! Contentools has carefully designed a solution for those problems and even more. Look no further, schedule a demo right now and let us show you how we will give you a hand with opperating your content marketing strategy.